Archaeologic Despite its name, Intelligent Software also had a nice little sideline designing hardware. Founded in 1981 by international chess champion David Levy and chess writer Kevin O’Connell, the company was best known for its chess programs, in particular Cyrus and SciSys Chess Champion. But it also developed chess computers for toy company Milton Bradley, for Hong Kong-based CXG, for SciSys and for Ries, a Parisian distributor of chessboards. The latter device, called La Regence, was created during 1982 after an encounter between the two companies’ principals at the January Consumer Electronics Show (CES). The chess machine was based on a 4MHz Z80A processor with 1KB of RAM and 12KB of ROM to hold the operating system and the chess program, a version of Richard Lang’s Cyrus. 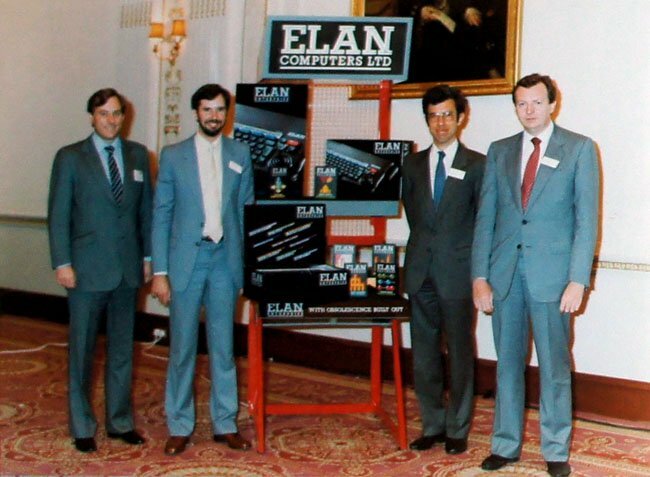 Intelligent Software had acquired Cyrus in 1981, and hired its maker, Lang, at the same time – to maintain his software. The development of the La Regence hardware was contracted out to Nick Toop, an engineer who after graduating in the late 1970s had gravitated toward Clive Sinclair’s Science of Cambridge (SoC). SoC’s day-to-day manager, Chris Curry, soon established Acorn, and for a time the two businesses happily co-existed. Acorn eventually broke free, and Toop went with Curry, most notably creating the Atom out of the existing Acorn Microcomputer board machine. By this stage Toop was also doing hardware design consultancy. While work was progressing on La Regence, IS was approached by what press reports would go on call “a consortium of British and foreign investors” and, later, “a bank on behalf of a mystery backer” with a contract to design a home computer. 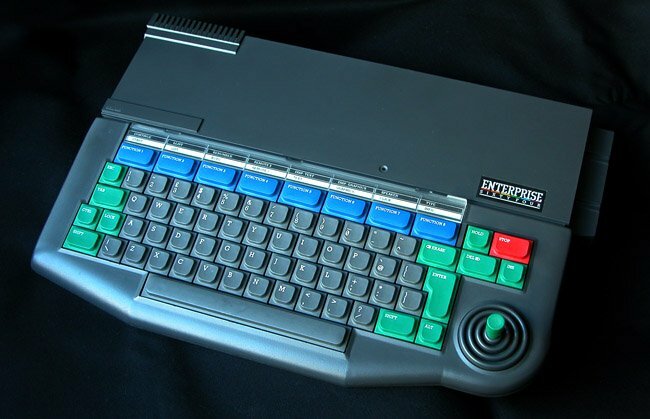 In fact, it was Domicrest, an Anglo-Indian trading company then based in East London, whose principals, Deepak Mohan Mirpuri and Mohan Lal Mirpuri, had been inspired by the April 1982 launch of the Sinclair ZX Spectrum to enter the computer market themselves. Domicrest was already well known to the IS team. Deepak Mirpuri played squash with IS's accountant, and his interest in entering the consumer electronics business was relayed to Levy, O’Connell and their newly appointed technical chief and fellow director, Robert Madge, who had just been brought on board to manage IS's hardware efforts. Today, David Levy describes Madge as “very creative, very technically creative... very smart, an all-round genius”, and it was Madge who devised and led the development of the Pad, a PDA-style pocket calculator device that Domicrest had first approached IS to build. The Pad would then be released under a new brand, Biztech. But, having started work on the Pad, Madge quickly became more interested in the exploding home computer market. He may have persuaded Deepak Mirpuri to fund the development of a home computer, or Mirpuri may have decided separately that that was the way to proceed. Possibly both men arrived at the notion separately. Other IS people undoubtedly thought the same. As David Levy says now, back then “everyone knew that home computers were selling like hot cakes”. Whomever prompted the decision, the result was a change in direction and the formation of a new company, jointly owned by IS and by Domicrest, to market the new home machine. The two firms’ bosses all took directorships of the new firm, and the Mirpuris introduced Levy, O’Connell and Madge to Lachu Mahtani, owner of a London-based insurance underwriting business called Locumals who had been persuaded to provide the extra funding they would need to develop a micro and bring it to market. The Enterprise project began in earnest in October 1982 under the bizarre codename "Damp Proof Course", apparently intended to dissuade anyone who found a misplaced copy of the plans from eyeing them up too closely. Most of the early Enterprise documentation is stamped simply "DPC". Shortly afterward, Samurai Worldwide was founded as the company under which the computer would be manufactured, marketed and sold. Intelligent Software’s three directors, David Levy, Robert Madge and Kevin O’Connell, became directors of the new firm, as did Lachu Mahtani, and Deepak Mirpuri and Mohan Lal Mirpuri of Domicrest. Madge was also named Samurai’s technical director. The R&D work was contracted back to IS, which expanded its team to 20-odd people, David Levy recalls, in order to support the development of the new computer’s operating software and applications. Because IS had a good working relationship with Nick Toop, he was asked to design the computer’s hardware to a specification set by Madge. “What we were asked to do in our brief was to design a computer which would be among the top few sellers, which would appeal on a whole number of levels - for games, for home business, for enthusiasts and novices, and also appeal to commercial software houses who will have to produce material for it if it is to be a success,” said Madge in October 1983 during an interview with Popular Computing Weekly. In fact, the Enterprise and its specification was as much Madge’s as anyone’s - if anything, more so. Madge would later reveal that his initial thinking called for more of a direct Spectrum rival than the Enterprise would eventually turn out to be: Madge found himself “going down the same sort of path Oric went down”, he told Your Computer in 1983. That idea was soon rejected, however. The feeling was that by the time the machine came out, it would have already been superseded. The logical alternative to starting at the low end of the market and working up was to start at the high end and to wonder, as Madge put it, “If we could have everything, what would we have?” It was the same approach that governed the work on the Memotech MTX, then under development too.